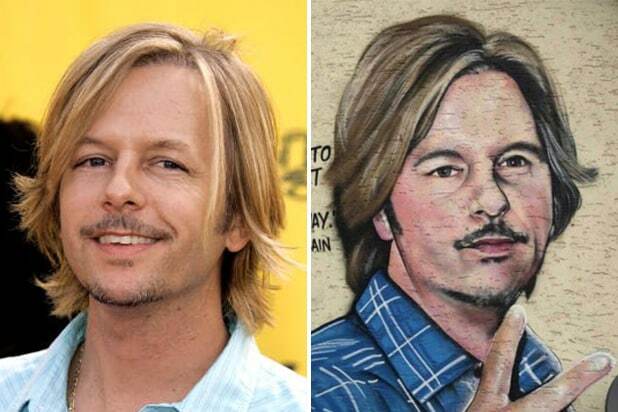 David Spade wants fans to know he has seen that Kurt Cobain mural that looks more like the comedian than the Nirvana frontman who died in 1994 at age 27. “Everyone is sending me this,” Spade tweeted on Friday. He linked to a photo of the mural by Australian-born street artist Lushsux that he painted earlier this week on the outside of a building in Linz, Austria. That quote was cited by Cobain in his suicide note. Lushux’s piece is referencing a popular internet meme, in which people wrongly-attribute quotes to influential individuals alongside a picture of a completely different famous individual. Spade’s upcoming memoir “David Spade Is Almost Interesting” hits stores on October 27. 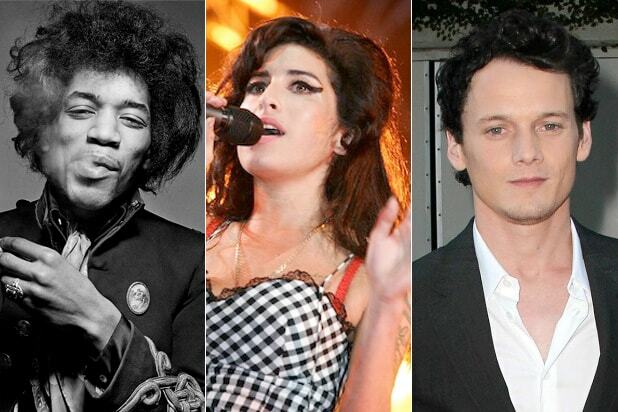 Artists like Jimi Hendrix, Janis Joplin, Jim Morrison and Amy Winehouse all died before they reached 28. The American blues legend made the Mississippi Delta style famous, but his premature death near Greenwood, Mississippi, remains as mysterious as much of his short life. The R&B singer for the Drifters sang lead on such hits as "Some Kind of Wonderful," "Up On The Roof" and "On Broadway." He was found dead in a Harlem hotel room of a suspected drug overdose. The founder and original leader of the Rolling Stones drowned in the swimming pool of his home in East Sussex, England. The rock guitarist died in London of asphyxiation while intoxicated on barbituates. The blues singer died of a heroin overdose at the Landmark Motor Hotel in Hollywood. The singer, songwriter and frontman for The Doors was found in the bathtub of a Paris apartment, apparently from an accidental heroin overdose. A founding member of the Grateful Dead, McKiernan died of a gastrointestinal hemorrhage at his home in Corte Madera, California. The American graphic artist famous for graffiti-inspired paintings died of a heroin overdose in his Manhattan studio. A small forward for the Boston Celtics, he suffered a sudden heart attack on the court at an off-season practice. 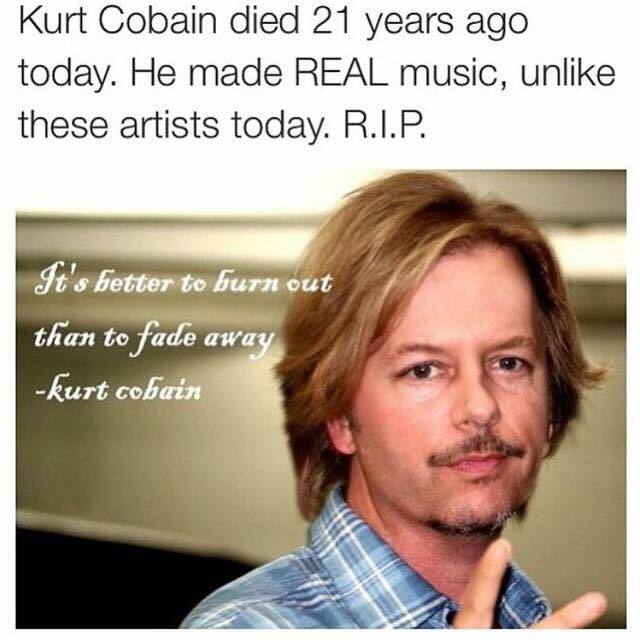 The singer-songwriter and frontman for the grunge band Nirvana died of a self-inflicted shotgun wound to the head. The Welsh guitarist and lyricist for the Manic Street Preachers missed a flight for a U.S. promotional tour on February 1, 1995 and he functionally disappeared near the Wales-England border soon after that. In 2008, he was declared "presumed dead." A child actor best known for the NBC sci-fi series "SeaQuest DSV" committed suicide in his L.A. apartment building. The star safety for the Arizona Cardinals who left the NFL after 9/11 to enlist in the U.S. Army. He died in Afghanistan in a case of friendly fire in the midst of a firefight. The British R&B and soul singer, who had long battled an addiction to drugs and alcohol, died of alcohol poisoning at her London home. The actor best known for playing Pavel Chekov in the big-screen "Star Trek" reboots, died in a car accident at his L.A. home. The Chicago rapper (né Derrick Coleman) who rose to fame with his cousin Chief Keef died on in 2018. No cause of death was immediately revealed, but Santana was hospitalized three months before with kidney and liver failure.